Ashton Asoke Rama 9 is being introduced at Ananda’s ‘Urban Pulse’ exhibition at Siam Paragon in Bangkok on 22-25th June and is attracting exceptional interest as shown by these photographs of the queues. Do not hesitate to avoid the queue and use this opportunity to reserve your condominium first! Open for Sales NOW! Don’t miss! Ashton Asoke Rama 9 comprises two FREEHOLD condominium buildings with a total of 599 residential units, shown here facing the G Land Tower and the new Super Tower in Bangkok’s New CBD. The Alpha Building on the left has 46 floors with 353 condominiums, while the Omega Building on the right has 50 floors and 240 condominiums. 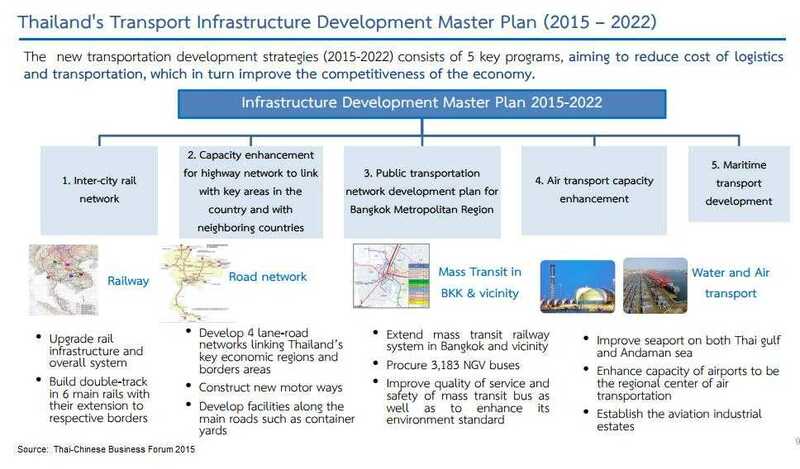 Ashton Asoke Rama 9 will be ready for occupation at the end of 2020. 396 automatic parking lots will be provided to residents at Ashton Asoke Rama 9. Ashton Asoke Rama 9 is located on the last corner plot in Bangkok’s New CBD, only 230 metres from Rama 9 MRT Station. From Rama 9 MRT Station it is just two stops to Asoke and the MRT/BTS Interchange. The new MRT Orange Line running East West across Bangkok is one station away at Thailand Cultural Centre and will start operation at the end of 2022. Ashton Asoke Rama 9 is right in the centre of Bangkok’s New CBD, the headquarters for multinational companies such as Unilever and AIA, as well as the new Stock Exchange of Thailand. Grand Central Plaza Rama 9 is a new shopping complex, and across the road is Fortune Town and the Mercure Hotel. 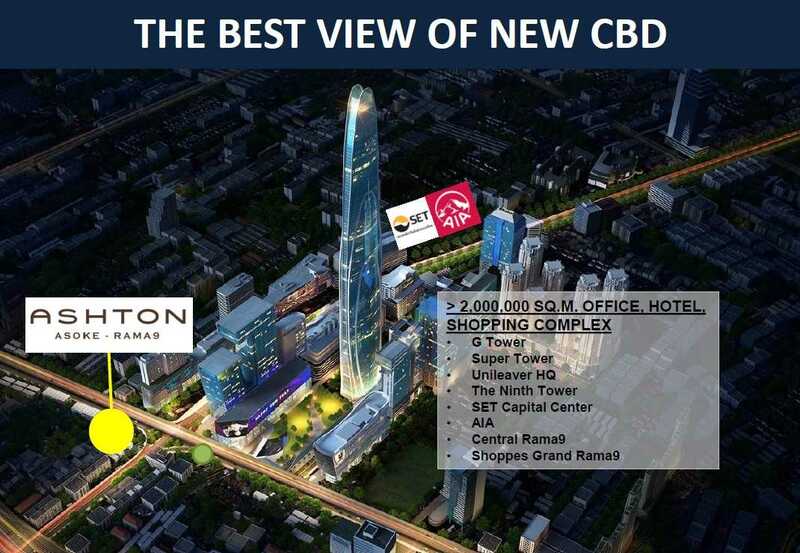 The New CBD will also soon be home to Bangkok’s new Super Tower, ASEAN’s tallest building at 615 metres, with 125 floors. Construction of the Super Tower has already started and it is due to open in 2020, at a similar time to Ashton Asoke Rama 9. Singha Complex is the first upcoming mega project in the vicinity. It’s a large-scale mixed-use development from Boon Rawd Brewery, a forefront beer and beverage producer of Thailand. The project comprises a luxury hotel, high-end residence, offices, and myriad retails. In addition, when the project is complete, the unit price at IAshton Asoke Rama 9 will definitely surge. Second, Makkasan Complex is waiting to be another landmark, and it will be positioned not too far away near ARL Makkasan Station, on the area over 745 rai or 295 acres. The project comprises a complex mall and greenery park for visitors to unwind. Third, this is a huge mega project which will transform this territory to be the new CBD. The Grand Rama will comprise the following highlights: G Land Tower, The 9th Tower, The Shoppes at Corridor, U Place (Uniliver), CentralPlaza Grand Rama 9, Belle Grand Rama 9, Luxury Hotel, and Office Complex. G Tower is one of the astonishing buildings in The Grand Rama 9 which is now being constructed aside Ratchadaphisek Road. The building offers grade-A offices for companies to invest and settle in. Ashton Asoke Rama 9 features the unique “Sky Living Room” and “Sky Bedroom” with open view of 270 degrees Panoramic View of the beautiful Bangkok skyline. There is also the Open Atrium, a 10th floor open space. Ashton Asoke Rama 9 is the most prominent Ashton project, offering the best aesthetics of living that Ananda has ever designed.